This little restaurant tucked in the bylanes of Thane is a must-visit place from some amazing Kohlapuri food. The menu here is limited but the food is fabulous. Make sure you try their famous mutton, chicken and vegetarian thali. 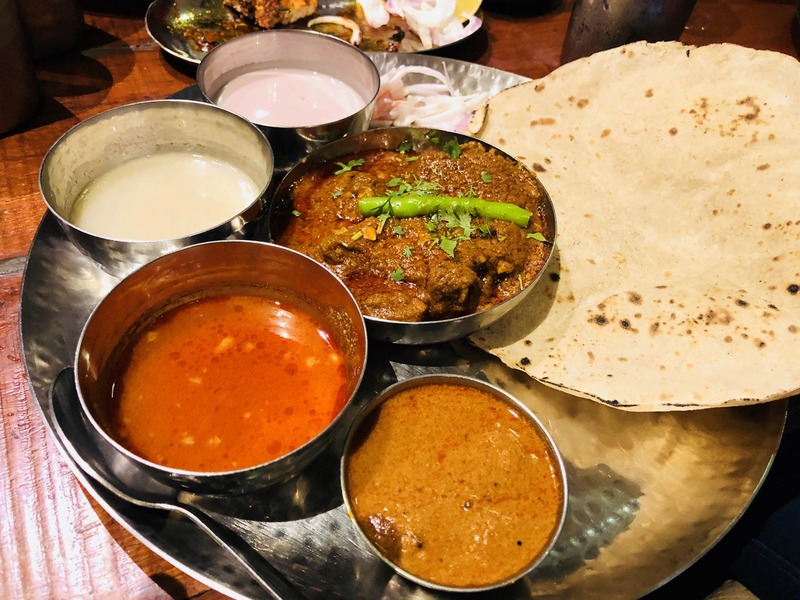 Thali comprises of the Pandhra Rassa, Tambdha Rassa, Chicken Masala Gravy, onions mixed in yoghurt, Green Chillie Teecha, Jowar Bhakri or chapati, Solkadi and Rice. The thali is a treat to the eyes or palate. Head to this place for some Kohlapuri food and I am sure you won't be disappointed.